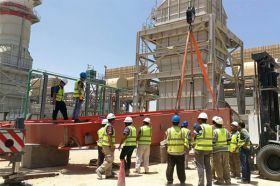 Buyer: ELSEWEDY Electric in Egypt. 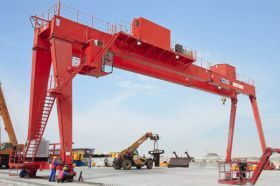 Product: 4 Gantry Cranes with Capacity: 76t/20t and Span: 76m. 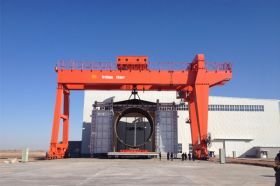 4 gantry cranes with lift capacity 70t start the installation for Egypt project. 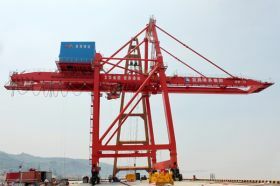 A 40.5t rail-mounted container gantry crane made by Weihua Group was erected and received successfully under the condition of tight schedule and heavy tasks. 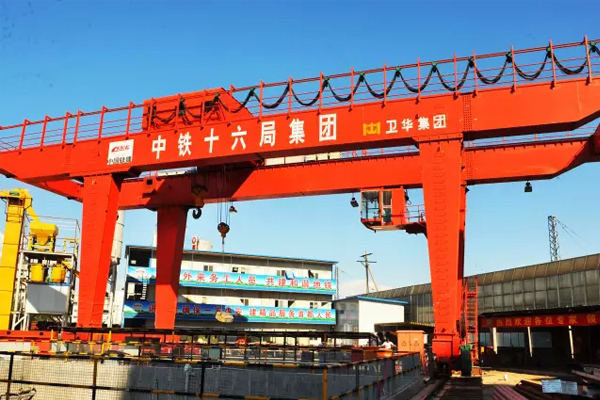 Weihua manufacture gantry cranes for handling of subway slag and railway container, beam erecting and handling, and other rail transit cranes for global market. 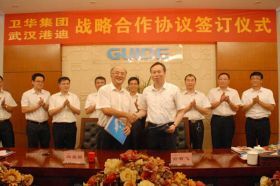 35t, 40t, 40.5t, 50t, 450t, 900t, etc. 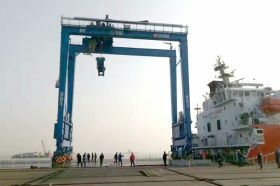 25t Gantry Crane Exported to Qatar. Use: Construction. 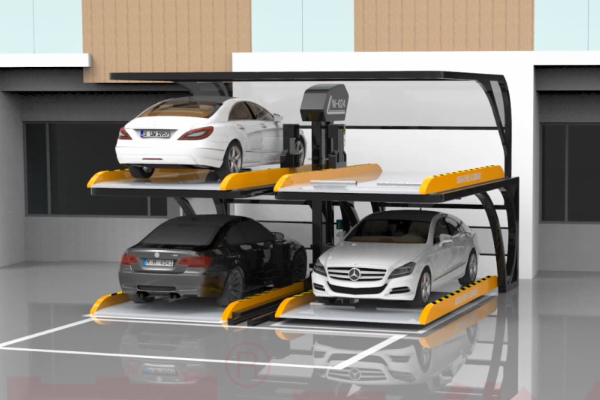 Drive: Diesel engine. 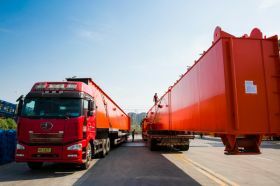 Lift Weight: 20t. 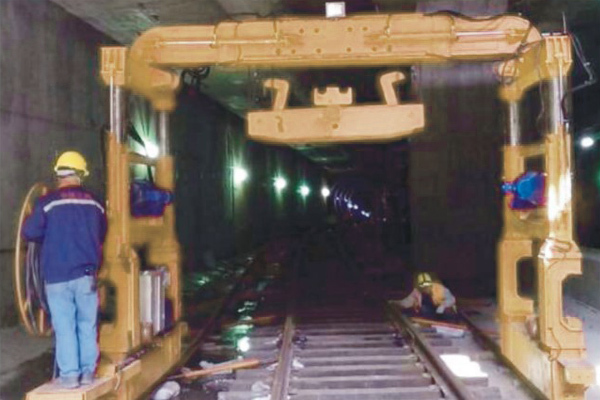 Span: 30m. 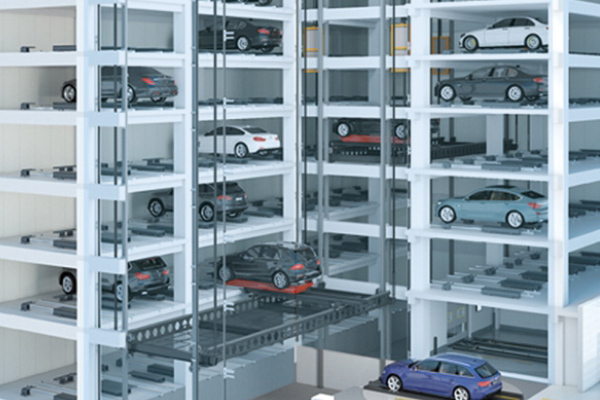 Lift Height: 10m. 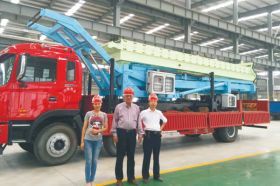 On March 28th, a customer from Shandong purchased an 8t heavy-duty high-altitude steel tile profiling and lifting truck. And the delivery period is only 3 days. 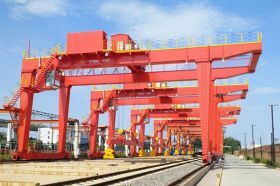 The picture shows 4 RMG cranes used for handling of 100 meters long high speed railway tracks at railway freight station. 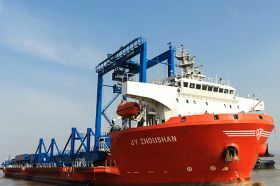 Weihua gantry cranes are widely for the fields of container handling, ship-building, subway construction, material handling, etc. 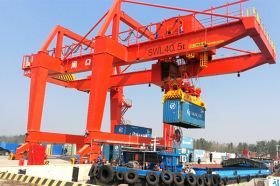 RTG and RMG Cranes Loading and Shipping to Thailand. Made for Laem Charbang, Port Authority of Thailand. 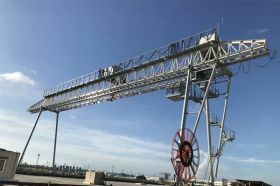 This project a new lattice girder gantry crane project of Weihua Group, which is a Bangladesh government projects-Bangladesh Atomic Energy Commission. 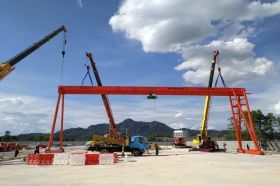 RTG Crane for Thailand Bangkok Harbor, 40.5t, 20m RTG Crane, 35t RTG Crane, RTG Crane for Kazakhstan.